Long Range Electric Bikes from Focus | Dual Battery Pack Option Totaling a Huge 756Wh! The eagerly anticipated arrival of the dual battery option (T.E.C.Pack) from Focus Bikes means that affordable, long range electric bikes have arrived at OnBike! We’ve already posted news items previously about the fantastic new Jam2 and Bold2 bikes from Focus released this year. There’s been a little bit of a wait, but the T.E.C.Pack that enables a dual battery system on these fabulous machines has finally arrived. We think it’s very special! It means that range can be extended from the standard frame battery capacity of 378Wh to double…a whopping 756Wh!! The system can be used on both the hard tail AND full suspension bikes. Addition of the pack transforms these beauties into long range electric bikes, simply and quickly with zero hassle. What’s in the T.E.C Pack? 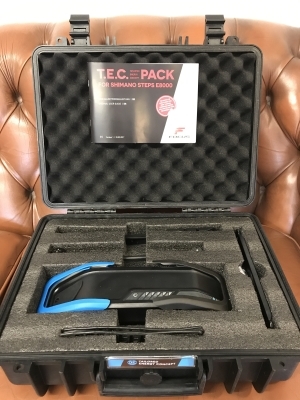 We eagerly opened up a T.E.C Pack when it first arrived and had the second battery installed within minutes. There’s no flailing cables, with everything neatly designed and compact. The battery itself slides easily on and off its mount and weighs far less than its competitors for a similar capacity. It’s worth pointing out that once the battery mounting rail is in place, you’re done, it stays on. It’s a one-off job and doesn’t need adding each time you want to use the second battery. There’s full instructions provided too, not that they’re needed to be honest as everything is extremely intuitive. Once attached, we like the look of the bikes immensly and believe they retain their smooth lines and aesthetics. It is an option of course rather than a necessity, depending on the length of your journey. 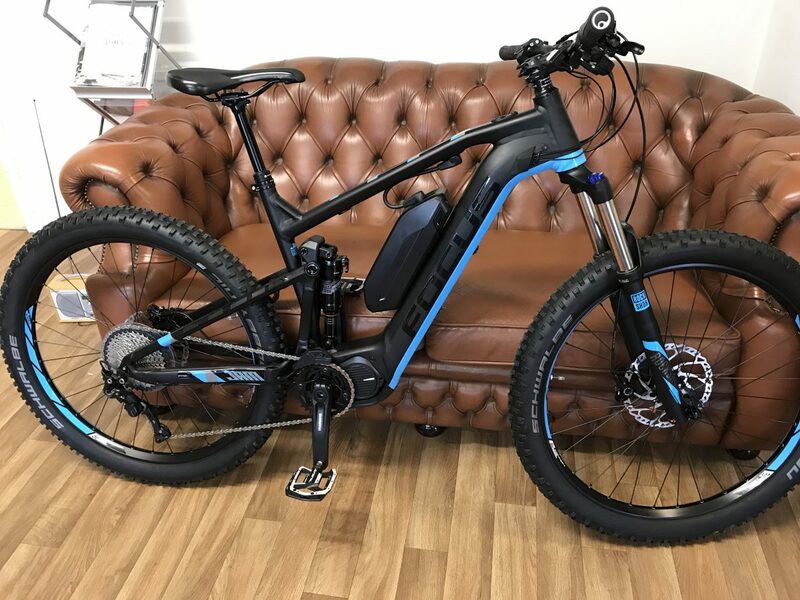 If you’re looking for long range electric bikes, innovative design and Shimano quality and performance then Focus have produced a real treat! Check out our range of Bold2 and Jam2 electric bikes with Dual Battery Options.